This mareline is from Babolna originally. 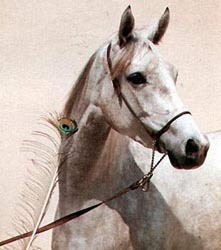 The mare Bent-el-Arab OA was one of the group of horses imported in 1885 by Michael Fadlallah el Hedad. Her sire was a Saklawi and her dam a Kuhaila Adjuze. Fadlallah el Hedad was a Syrian native brought to Hungary in 1857 by Oberst von Brudermann. He eventually became the head of Babolna. During the second world war many of the polish horses were evacuated to Germany. 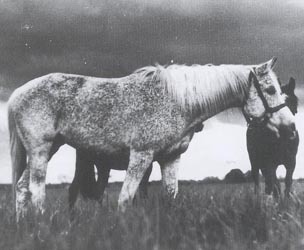 Towards the end of the war the Poles found several mares from Babolna at a serum factory. Realising the value of the mares, the Poles traded the mares for some coldblooded horses. Thus 13 mares of the best Babolna breeding were saved. An agreement was made that the mares would be returned to Babolna when the stud had been rebuilt. As "thank you" for the rescue the produce of the mares were to remain in Poland. In 1951 the promise was honored and the mares returned to Babolna. Among the mares rescued were 233 Kuhailan Zaid-13 (renamed Bona) and 22 Kuhailan Zaid-1 (renamed Balia). 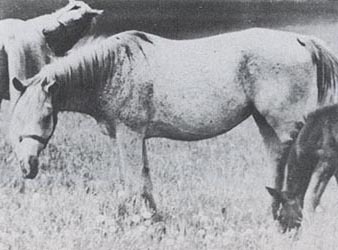 These two were the first mares of the Bent-el-Arab OA line in Poland. 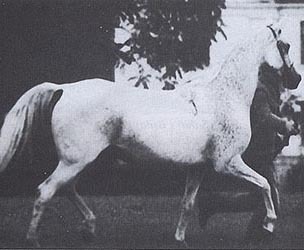 Bona 1937 didn't leave any daughters to breed on (one daughter Bonita 1950 by Witraz was tested but eliminated after one foal) but produced the stallion Como 1949 by Witraz. He was a good-looking horse with poor hindlegs that never really were given a chance at stud. 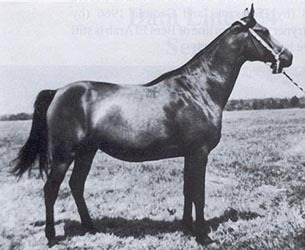 He did leave the mare Forsycja out of Forta 1954 and her full brother *Fortel 1955. *Fortel was sold to a circus and discovered in Copenhagen by Erik Erlandsson (a man with a good eye for circus horses!) who eventually sold him to the Williams in the US. 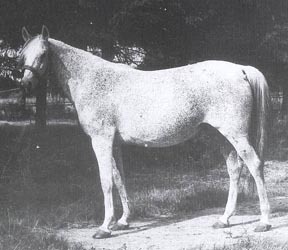 *Fortel sired many good broodmares and was maternal grandsire of Shahteyna, US National Champion mare. Balia 1936 did leave a daughter to continue the line, Celia 1949. She produced six daughters of which two were used in Poland, *Cecora 1963 by *Pietuszok and Cedrela 1966 by Doktryner. Her daughter Chimera 1956 by Omar II was exported to lady Townsend (UK) and *Cela 1961 by *Pietuszok to B. Björkman (Sweden). A son, *Cebion 1964 by Negatiw, was exported to Leon Rubin. Chimera 1956 also found her way to Sweden in 1965. She had three foals in Sweden before she died. Both her swedish daughters have produced daughters in turn. One of her english-born daughters were also imported to Sweden, Raining Sky 1964 by Gerwazy. *Cela gave birth to the stallion Cedar 1967 by Dardir and the mare Esterella 1969 by *Exelsjor. Esterella was exported to Germany and then imported to Sweden again. She left offspring in both Germany and Sweden. 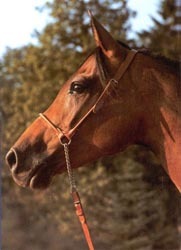 *Cela left several offspring in US, among them the stallions *Msciciel 1970 by *Exelsjor and SS Manhattan 1979 by *Bask. *Cecora left one daughter before being exported to the US, Cerisola 1963 by *Carrador. She had a son by Negatiw imported in utero, *Negor 1969. She was bred again to *Carrador in the US and had the son Sir Koradon 1970. Her daughter Csarina 1972 by *Sambor has continued the family. Cerisola left five daughters of which two were used in Poland and two abroad. Her first daughter *Campala 1974 was exported in 1980 without any produce in Poland. Her blood returned however with the stallion Metropolis NA as his sire Concensus trace back in tail female to her. 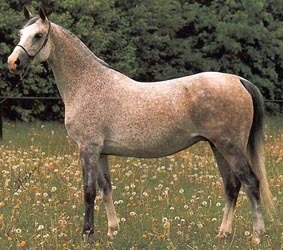 The next daughter *Cynadra 1975 was also exported but left the daughter Cyranka 1980 by *El Paso in Poland. 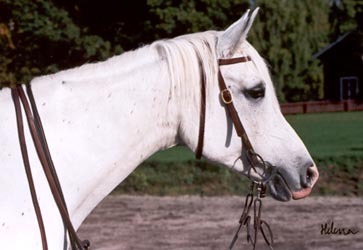 Cewka, Cerisola's 1976 daughter, has left the mare Cecora 1985. None of Cecora's daughters has been used yet. 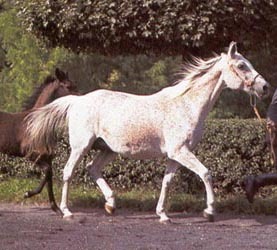 The last daughter of Cerisola, Cetynia 1981, was exported to I. Thörner of Gestüt Ostenfelde in Germany. She has among others produced the daughter Celenka 1987 by Euben (imported to Sweden). The second branch of Celia's family comes from her daughter Cedrela 1966 by Doktryner. Cedrela left four daughters of which two have been used in breeding. 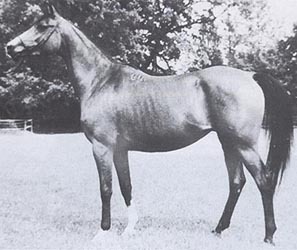 Her firstborn, Cedrzana 1973 by Celebes, had one foal in Poland ans was then exported to Germany. 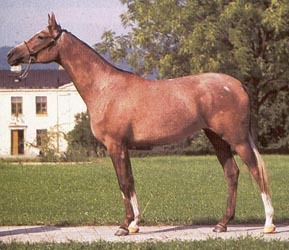 The other daughter to be used was Cudna 1984 by Eternit. She has left two daughters (Cykata 1993 by Partner and Cyfra 1997 by Pesal) used in breeding before she was sold at the 1997 Polish Prestige sale. Her 1990 daughter Celia by *Europejczyk was exported to Italy before leaving any produce in Poland. This damline may not have produced any superstars, either on the track or in the showring, but it gives solid, good-looking mares. It is well worth preserving, especially since this line doesn't exist at Babolna anymore.